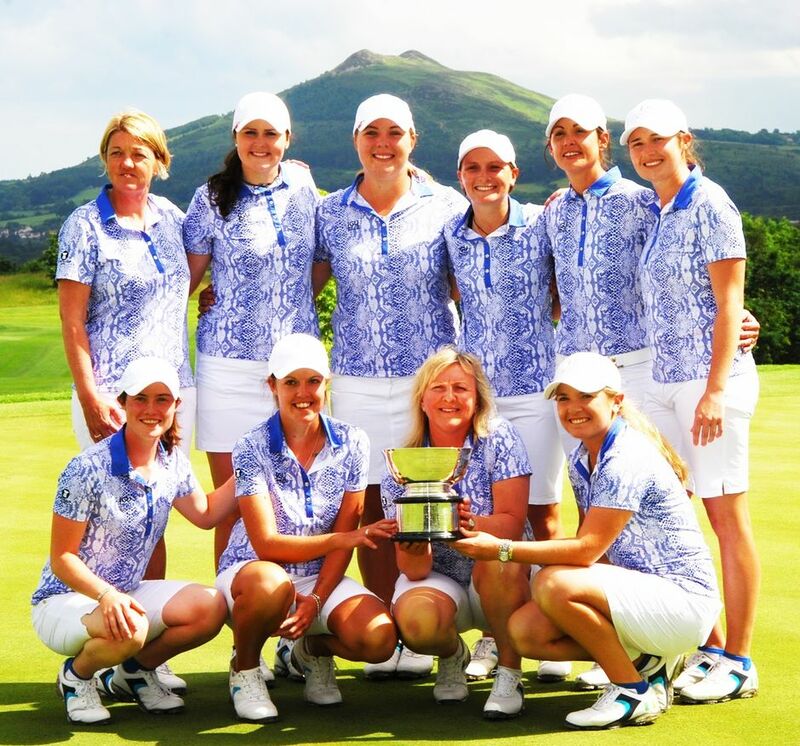 Fresh from her success as a member of Great Britain & Ireland’s winning Curtis Cup team the previous weekend (below), in which she represented West Surrey, we were delighted to welcome Charlotte Thomas back to the Club on Saturday. 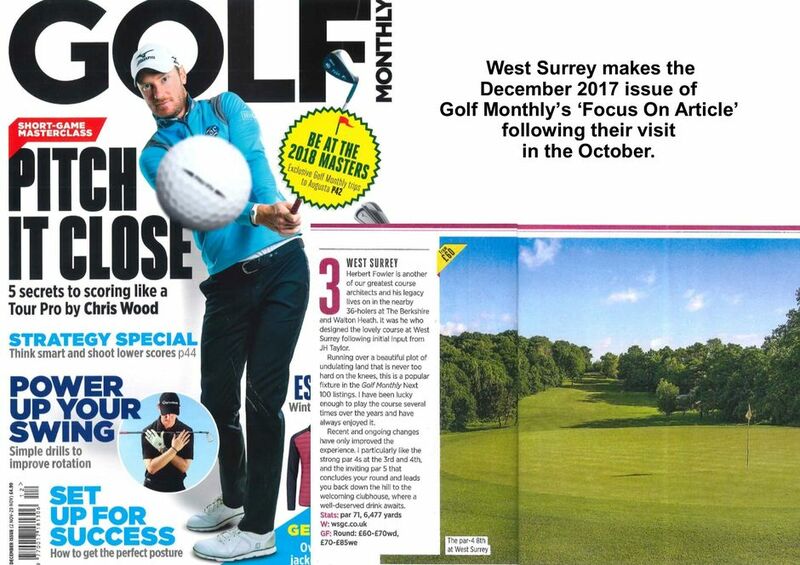 Having played as a junior at West Surrey, Charlotte has just graduated from the University of Washington in Seattle and recently led her college team to victory in the NCAA ladies’ golf championships – one of the most prestigious competitions in US college sport. 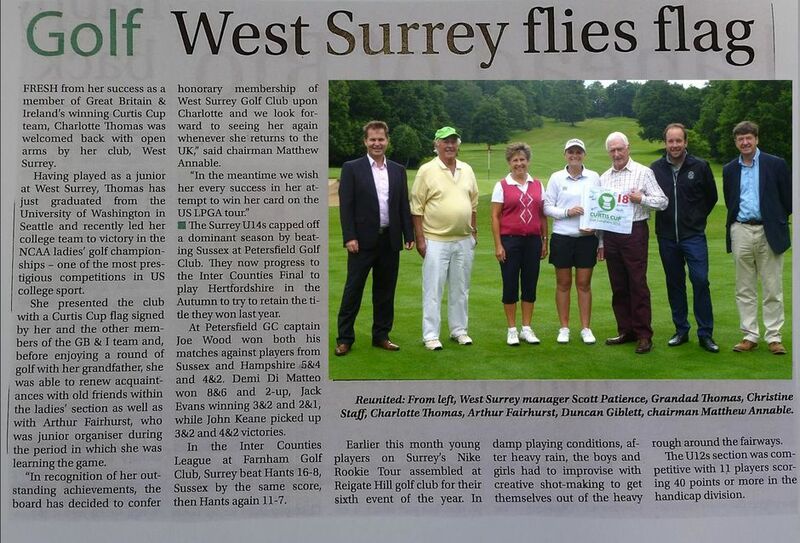 In recognition of her outstanding achievements, the Board has decided to confer honorary membership of West Surrey Golf Club upon Charlotte, and we look forward to seeing her again whenever she returns to the UK. In the meantime we wish her every success in her attempt to win her card on the US LPGA tour.